HOPE – The Hope Public School Board met in called session Tuesday evening to address end of the year business, including resignations and replacement hires, accepting the resignation of HPS Co-Athletic Director/Hope High School Head Football Coach Jay Turley in the process. 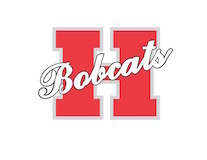 Turley has been the gridiron leader for the HHS Bobcats since 2010, when he came to Hope from Murfreesboro. He was named co-athletic director for the school district with HHS Girls Basketball Coach Susan Powers in 2017. Turley oversaw the coordinated and administrative aspects of the spring semester athletics programs for the district while Powers coached girls’ basketball. Conversely, Powers administered district athletics during the fall semester football season when Turley guided the Bobcat football program. Turley came to Hope in 2010 after four seasons at Murfreesboro as athletic director and head football coach. He has also coached at Denison, Texas, and Fouke, Ar., and began his coaching career at Lakeside as junior/senior high physical education teacher and varsity football backfield coach, as well as junior high girls’ track coach. Turley has two children, Olivia, 20, and Dylan, 10; and, his wife, Monica, is the mother of two children, Zack, 27, and Stephanie, 24. Hart confirmed Tuesday that Turley has accepted a position as junior high school principal in the Prescott Public School District. --Accepted the resignations of Samantha McClane (CPS paraprofessional); Minerva Pineda (HHS Spanish); Shari Sparks Smith (ABC Pre-K); Amber Hampton (ABC Pre-K); and, Devin Killett (CPS first grade). --Accepted the retirement of Saranda Kennedy (CPS first grade, 30-plus years) and Betty Turner (Paraprofessiona, 40-plus years). --Employed Christopher Wimberly (HHS, math); Jessica Rainey (HHS, English); Celeste Dellinger (HAPS, science); Melissa Ellis (HAPS, arts integration specialist); Marilyn Marks (HAPS, dean of students); Lindsey Wimberly (Yerger, math facilitator); Ashley Byrd (HHS, English); Quinton Radford (Yerger, literacy instructional facilitator; parental involvement; student council); Judith Clark (elementary teacher); Jewell Worthington (elementary teacher); Patricia Fulton (elementary teacher). --Approved transfers of Patti Roberts from HHS counselor to CATS counselor; and, Romunda Hamilton from HHS faculty to CATS faculty. --Accepted a total of $4,283 in bids for four surplus school buses and a surplus Dodge Intrepid sedan. --Conducted an expulsion hearing from the Creative Action Team Students (CATS) campus, expelling one student for a calendar year.